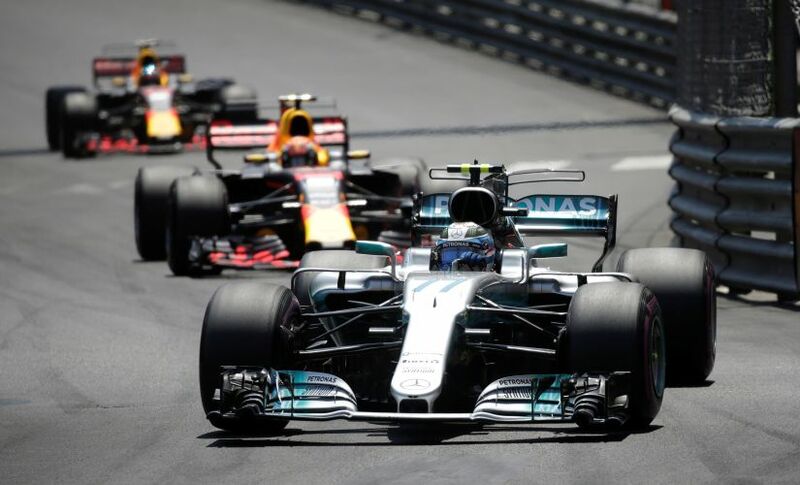 What seemed like the most anticipated weekend of the year for Motorsport fans could well be described as a bit of a damp squib — the Monaco Grand Prix, the crown jewel of the F1 calendar, was a yawn-fest with minimal on-track action. The Indy 500, where Fernando Alonso was attempting to get a step closer to the ‘Triple Crown of Motorsport’, saw his hopes dashed after a late-race failure of his Honda engine. But of course, Sebastian Vettel’s charge in Monaco and Alonso’s consistent running in the lead pack at Indy offered temporary respite. Ferrari reigned supreme in Monaco — bringing out a slew of statistics including the fact that Ferrari won at Monaco after 16 long years. Excitingly enough, this was also Ferrari’s first one-two finish since the 2010 German Grand Prix, a race remembered for the ‘Felipe, Fernando is faster than you’ radio message. Kimi Raikkonen brought his Ferrari home on pole on Saturday, leading to plenty of cheer among fans (would have loved to see the smile on little Thomas’ face!). This was Raikkonen’s first pole in nine years, unbelievably enough. On Sunday, the tables turned with Vettel coming out on top. This reversal of positions was viewed as controversial by many, with people wondering if the other Ferrari should have won and team orders were unfairly employed. While Raikkonen fans were no doubt disappointed (including me! ), the switch needs to be viewed pragmatically. Raikkonen, as the leading driver, got the preferential pit call and took up the option of pitting first. Vettel, seeing a window of opportunity, was able to deliver scorching lap times, pulling vital seconds ahead of Raikkonen in the three laps extra laps that he stayed out for. 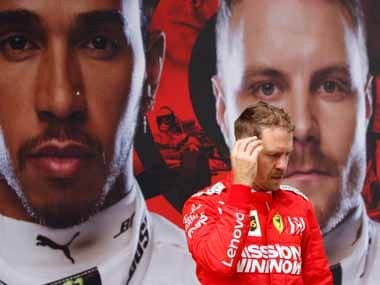 One has to be mindful of the position Ferrari would have been in — their strategy would have come under the scanner irrespective of which car they would have pitted first. This was also an unusual race from a strategic point of view given that the overcut worked rather than the undercut. Interestingly enough, the overcut worked for 2/3 of the podium sitters – Daniel Ricciardo and Lewis Hamilton being the other two. 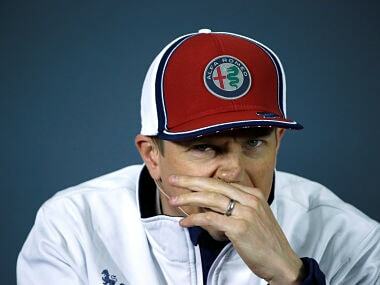 Raikkonen, though, was visibly sour-faced. The Finn, whose face is known to never giveaway any sort of expression, was for once seething with displeasure. 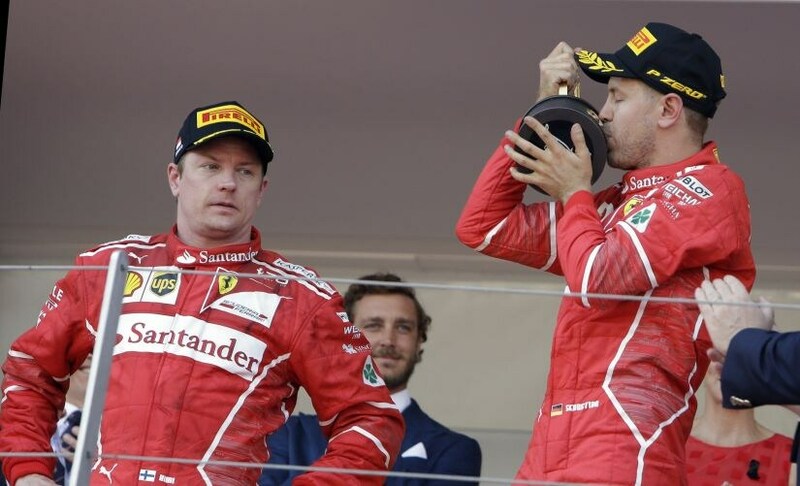 He remained aloof through the podium ceremony, barely glancing at the champagne and half-heartedly raising his second place trophy. I believe that irrespective of when Vettel would have pitted, he was the faster driver in the race and would have come out ahead of Raikkonen after the round of pit-stops. Monaco was a disappointing race for Mercedes with neither driver making it to the podium. The last time this happened was the 2016 Spanish Grand Prix, when Nico Rosberg and Hamilton took each other out. When was the last time we saw Mercedes unable to make the cut solely on lack of performance? I found humour in the fact that ironically so, the only Mercedes driver to make it to the podium was Rosberg (as the podium interviewer). It was a forgettable weekend for Hamilton. His bungled qualifying run saw him qualify P14. He finally clawed his way up to P7, but will come away disappointed by the weekend at large. He lost ground to Vettel in the Drivers’ Championship, while the racer in him will be disappointed by his lack of pace. 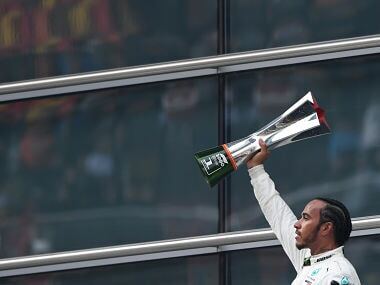 Moreover, surely the showman in Hamilton misses basking in the glory (and champagne) of a podium in Monaco. Valtteri Bottas finished in P4, but lost out to Ricciardo’s overcut while fighting with Verstappen on-track and in the pits. The characteristics of the street circuit of Monaco suited Red Bull Racing, and they sure did capitalise. Red Bull Racing will be pleased with their run, especially since they beat reigning World Champions Mercedes to the final spot on the podium. This is the team’s second podium on the trot, and gives us hope that Red Bull Racing may have bridged some of the performance gap to Mercedes and Ferrari, although Canada will be a true test of their upgrades. 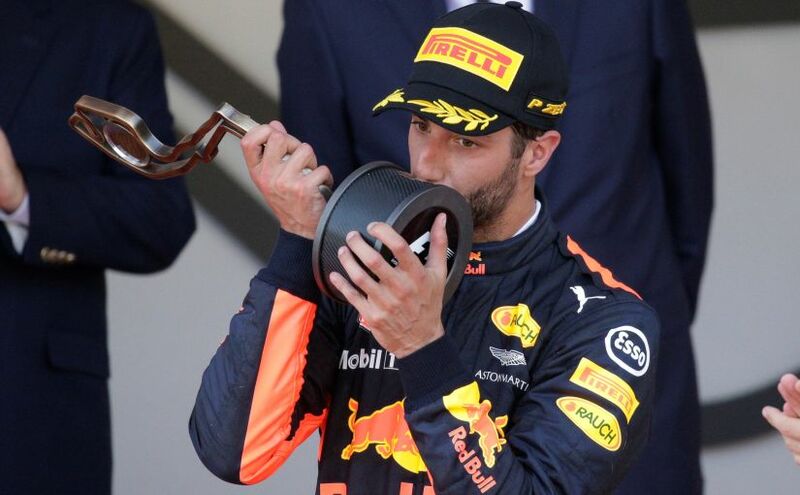 Ricciardo will be especially pleased given that last year, he was robbed of a victory at Monaco by poor work by the team in the pits. 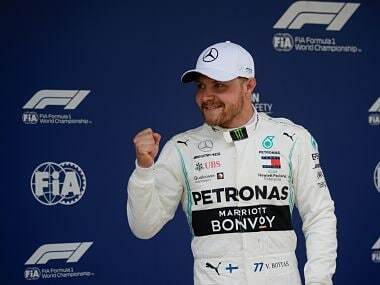 Moreover, by recording his second consecutive podium, he has done well to remind the team of his driving capabilities in comparison to his star teammate Max Verstappen. Verstappen will see Monaco as a mixed outcome. This is the first time he is finishing the race — previously, he had retired twice from the race, which includes a spectacular crash last year. While that gives him confidence, he was furious that Ricciardo performed the overcut on him during the pit stops. Like Mercedes, Force India too had a disappointing day. Monaco ended their long streak of double points finishes this season, with no points to show. Sergio Perez paid heavily for an optimistic move on Daniil Kvyat, which ended up taking both the cars out, while Esteban Ocon suffered from a puncture that impacted his race. Carlos Sainz Jr had a great run to P6 — an important result for him to make his presence felt on the grid as the silly season window opens up. The Haas team will be pleased with their strong performance as they recorded their first double-points finish (Romain Grosjean in P8 and Kevin Magnussen in P10). Felipe Massa, solid as ever, brought his Williams home in P9. The tight, twisty Monaco circuit has always proven to be a challenge for rookies — it is all too easy to clip the barriers and crash out of the race. We saw a host of rookies fall prey — Stoffel Vandoorne, Lance Stroll and Pascal Wehrlein. The image of Wehrlein sandwiched between his car and the barriers was definitely the scare of the day. Embarrassingly enough for Marcus Ericsson (who can no longer be termed rookie), he managed to crash his Sauber while under safety car conditions. How, Marcus, how? All eyes were on McLaren at Monaco for two reasons. Firstly, this race was touted as the team’s best chance of bagging some valuable points. Secondly, it brought back former World Champion and super-sub Jenson Button from his sabbatical while Alonso drove off to the Indy 500. I’d say my favourite part of the Grand Prix was the light banter between Alonso and Button at the start. Despite not having driven these new-age Formula 1 cars, Button adapted and clocked in an impressive P9 in qualifying, while Vandoorne clinched P10, meaning that both cars made it into the top-10 shootout. Sadly enough, Button had a Honda sort of weekend which led him to being slapped with a 15-place grid penalty. Button was central to causing mass chaos on track after his incident with Wehrlein, leading to a premature end to his Formula One comeback, and this could well be his last-ever race. Vandoorne, on the other hand, had an embarrassing crash at the famous turn 1 – leading to yet another non-scoring race for McLaren. Will they score a point in 2017? While this race may not have been one of the best, the iconic streets of Monaco have seen 75 glorious editions of racing. In an era of tracks being added and removed from the calendar like it is nobody’s business, here is one race that has stood through it all — reminiscent to the pomp, glamour and champagne that defines Formula 1.